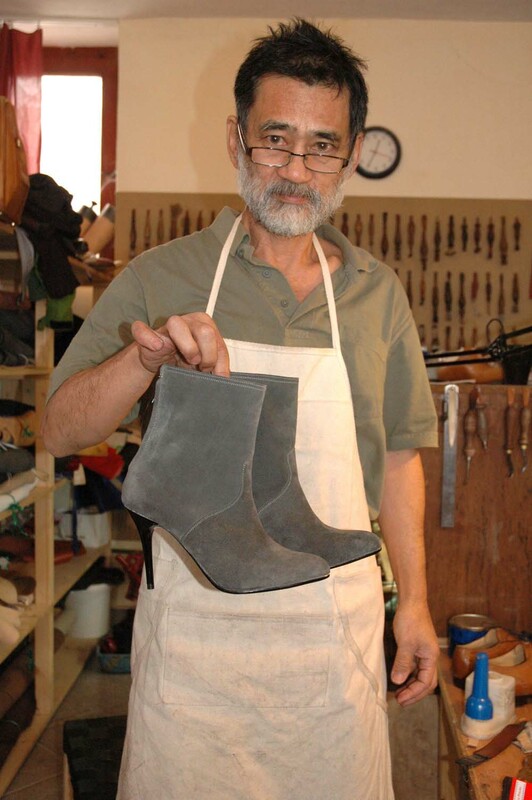 Here is one of the January students: Nazim, showing one of his ceation: a high heel, low (suede) boot with leather sole. Beautiful boots. I really love them.